One more Heart Health post because a healthy heart is vital to living a life that you can enjoy. 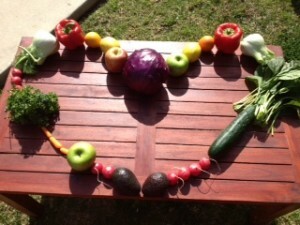 When I created the heart from vegetables and fruits, it was because our heart physically manifests our lifestyle. The foods we eat have a direct impact on heart health. We have seen this for years from research and from training programs that rehab heart patients after a dramatic heart health problem. Usually, these training programs for heart patients are taken on by the patient because they just had a very scary time in their life when they almost died. This training program is to help them avoid having to be in that situation again. These training programs always make changes in the diets of these people. But, that doesn’t have to be your experience. We can all learn by that example and choose to not have a heart problem. You can make that choice for yourself. If your diet, your lifestyle, provides you with e wide range of vegetable and fruits and you also exercise, you will most likely not develop a heart problem. There can’t be guarantees, every person is a unique blend of DNA, but eating this healthfully has proven itself when it comes to having a healthy heart. All of the recipes in Full Body 30 Day Vegan Cleanse supply you with foods that are only beneficial to the health of your heart. This program will have you feeling great from the first day and continue for everyday you are on this Full Body Cleanse. I sincerely hope that everyone who takes my Full Body 30 Day Vegan Cleanse will continue eating in this very healthy and wonderful way for the rest of their lives! Just like most of the people who have already taken this Full Body 30 Day Vegan Cleanse, they regularly keep many of the recipes from this Cleanse in their diet. Because they loved how great they felt and they really enjoyed all the delicious foods! Enjoy a healthy heart and a heart that is then able to accept and give love! February is Heart Health month, it is thee perfect time to consider the health of your heart. Many people take for granted that their heart will be healthy, just as how many people take their health for granted. I have been in the health field for over 20 years, and noticed early into my profession, that for some people, they just assume that their body will keep going and going…like the Energizer Bunny. But, the human body in all its amazing magnificence, does need some help to be the best it can be. I’m glad you asked, here is what you can do. 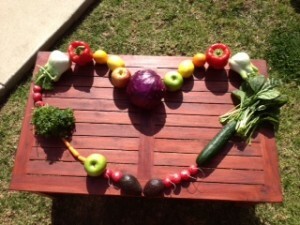 Taking great care of your heart requires two things, Natural foods- lots of vegetables, fruit, nuts and grains. And regular exercise to make the heart muscle strong. That’s it, these 2 components to ensure you a great quality of life. It is definitely worth your time. A diet filled with daily vegetables and fruits will provide your heart with a range of anti-oxidants. These will continue to clear waste products out from the blood stream, directly helping the heart. A diet filled daily with a variety of vegetables and fruits will also provide your body with lots of fiber. This fiber will have a dramatically positive effect to your heart as it will help to keep the cholesterol and fats low in your blood stream. Once again having a direct effect to your heart. It’s that easy! Your heart will love you for it! If you need some help, or some inspiration, it is completely available in Full Body 30 Day Vegan Cleanse. Give it a try and see how much better your life will be. The health of your heart encompasses a number of factors. Laughter is one of them. I truly hope you have people in your life that make you laugh daily. It is a proven fact that laughter can contribute to your health, and specifically, to the health of your heart. Another factor contributing to your heart health is cholesterol and triglycerides. Dealing with the world of fats can be very confusing, this will help you keep it straight. Cholesterol in your diet comes from foods that are animals or from animals. Plant foods, and grains do not contribute dietary cholesterol. That right there makes how you get cholesterol in foods much easier. Egg yolks, organ meats, and whole dairy products contain the most cholesterol. Where this gets confusing for some people is the fact their own body also produces cholesterol. Cholesterol is not a bad thing. Which is why our own bodies produce it. Cholesterol is abundant in our nerve tissue and is needed by every cell in our body. Our body’s produce about 80% of the cholesterol found in each individual. Foods supply about 20%. Our genetics determines how much cholesterol our body will make. The healthy fats to eat are: Omega 3, monounsaturated fats, and poly-unsaturated fats. Omega 3’s are found in: Fish- salmon, mackerel, herring, sardines, albacore tuna, rainbow trout. Plant sources are walnuts, and flax seeds, which are very good to keep in your diet, though the plant sources provide a little less of the Omega 3’s than the fish sources. For unsaturated fats the best sources are: plant oils – olive oil , peanut, walnut, and canola; all nuts, peanuts, almonds, walnuts, pistachios; and avocado and olives. Triglycerides are other fats found in the blood in blood tests. Triglycerides are stored fats. Calories consumed that your body does not readily need for functioning, gets stored as fat and this is basically what triglycerides are. To keep your triglycerides low, eat just the healthy fats discussed, eat the food you need each day without consuming extra calories and exercise. If you stick with these healthy fats and stay away from the un-healthy fats, and if you get regular physical exercise, your triglyceride and cholesterol levels should be healthy. Majid and I do have herbs to help lower all these unhealthy fats and it is important to consume EFA’s which we do have available at the office. If you have further questions, please feel free to ask us. You can have healthy habits! It truly is possible for every person to develop healthy habits. Think about it for 1 minute, what is the difference between you and someone who already has a very healthy lifestyle? It is first the thought process, then it is making the commitment, and thirdly, it’s taking action. First, of course, has to be the thought. Every person who has healthy habits has spent time thinking about why they want to be healthy. What are your reasons? It is important to know what your reasons are because that will be your motivating factor. That will be the one thing that keeps you grounded in your decision, in your desire. Once you have discovered the reasons for yourself to create a healthy lifestyle, the next step is making a commitment. Your commitment should be to yourself first. Many people will also make a commitment to another person as well as themselves. Some people may commit with their life partner to have a healthy lifestyle. For many couples, this has many positive effects in building a strong relationship. Some people will make a commitment to create a healthy lifestyle with a friend or even a group of friends. Buddy up with a co-worker. That helps tremendously. You can eat your lunch together. Sometimes peer pressure at work is enough to break great intentions. Their is power and support when you do make a commitment with other people. It will make those relationships stronger and only serve you all well. The third necessary step in creating healthy habits is taking action! Now that you have mad e a commitment, your action is required to fulfill that commitment. That action is what you buy at the grocery store. What you plan to make for dinner. What you plan to bring for lunch tomorrow at work. This step is much more easily accomplished when you have a plan. 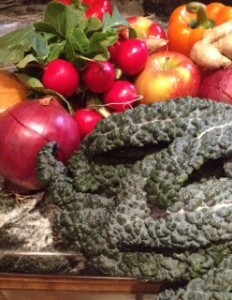 Having a plan is completely taken care of for you in Full Body 30 Day Vegan Cleanse. The entire 30 days is completely set up for you. The feedback from every person who has taken this Cleanse is very positive for how much they enjoyed that they did not have to think. They did not have to figure out what they were going to eat, for even 1 meal. That is why this Full Body 30 Day Vegan Cleanse is so much more than a recipe book. It is very well thought out in terms of the meals you eat on every day. This is an easy way to create very healthy habits – for life!